How to create vintage style prints. | Libby's Lifestyle. A Pinteresting birthday present for a pineapple-loving friend ... What does one do when searching for an idea for a gift for an amazing friend, a pineapple-loving friend, for their up-coming birthday? Go Pinterest investigating, of course! And what did I find ... a plethora of ideas, but one in particular which caught my attention. Beautiful prints with a slightly vintage vibe. These ones had been for sale on Etsy but I felt sure I could make my own. It couldn't be that hard!?! The concept looked simple enough. 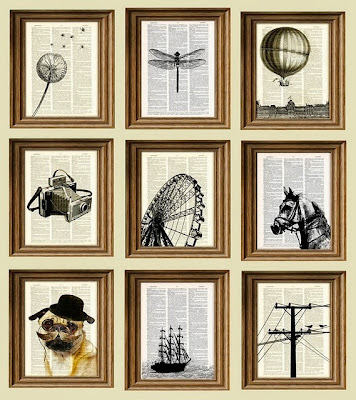 Line style drawings printed onto pages from old books. Hhmmm??? 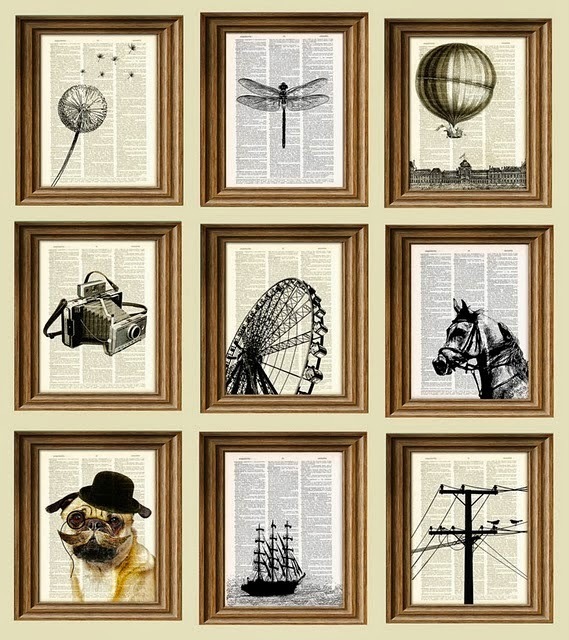 But where to find suitable prints and suitable paper? For the prints, I asked Mr Google for "free printable pineapples" and "free printable palm trees". He gave me an enormous selection to choose from. He is always very accommodating. But I wanted a certain look, an oldie-worldie look. 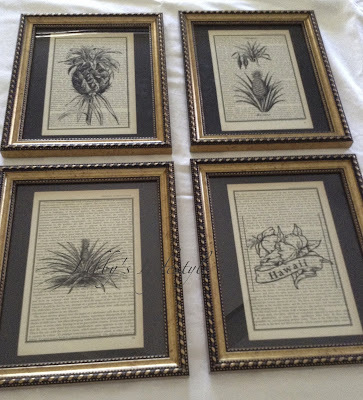 I wanted the prints to look like botanical drawings. Did Mr Google provide??? Of course! Has he ever been know to let me down? Not that I can remember. plus many more. So, now I had to choose, pineapples ... or ... palm trees ????? Pineapples won, and an Hawaiian hibiscus. Now, what to print them on? As you know, I love my local Salvos store. But, alas, for this project, I had to venture further to find what I needed ... right next door ... to my local Lifeline store. 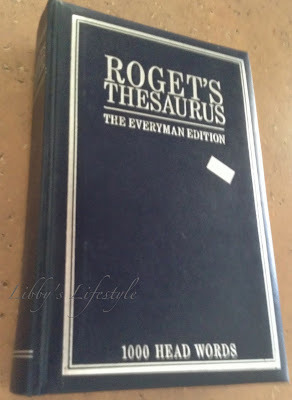 And, there ... in the far back corner ... amongst the abandoned, homeless books and magazines was a wonderfully aged Thesaurus just waiting to be transformed. The pages were beautifully yellowed and worn by the hands of, seemingly ... not very many children. Totally untouched it seemed. 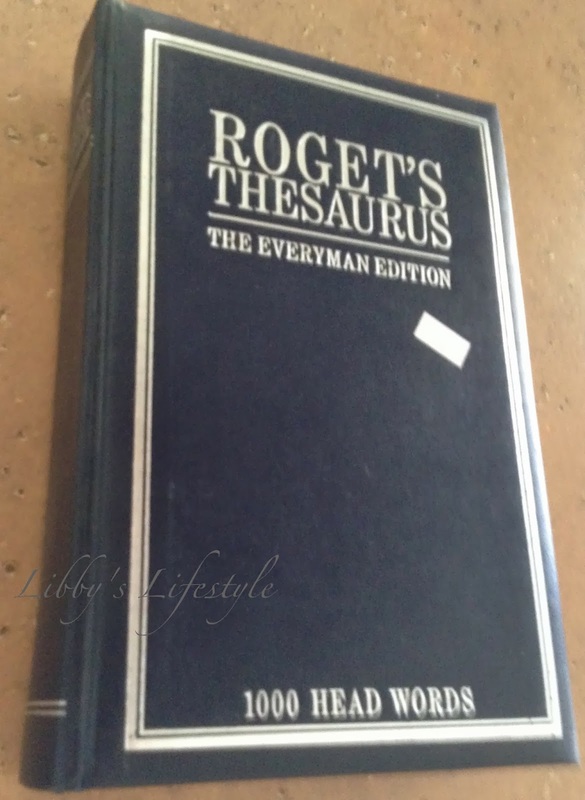 A virgin Thesaurus. Oh, how my heart bleeds! What a wealth of wondrous words lie within those covers that have been left undiscovered, unexplored! In my previous life as an English teacher, I tried hard, very hard, to encourage the opening of the covers of Thesauruses ... Thesauri ???? ... but, often, far too often, to no avail. Ah, well, at least this one has lived to find a new beginning. vintage style, oldie-worldie prints emerged. Just as I had thought. It wasn't that hard! Three more prints later and some more-than-suitable frames and I had ... ta dah!!!! 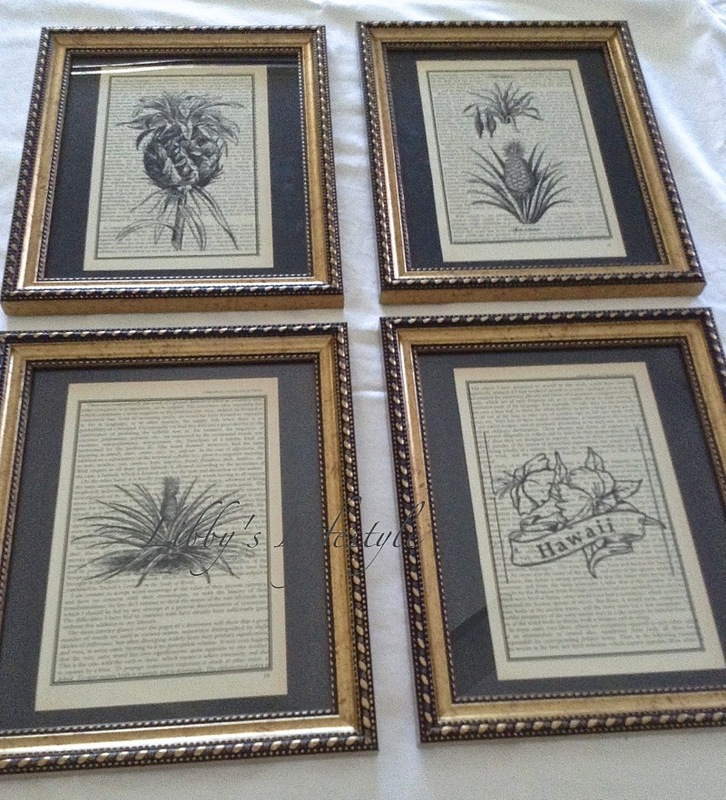 A set of vintage style prints for a pineapple-loving, Hawaiian-obsessed friend. And, it had been fun. Op shopping, Googling, creating a hand-made gift for a special friend. Life doesn't get much better. And because I was visiting my pineapple-loving Linda in SE Qld, (You remember, Linda of the orienteering experience?) I was able to hand-deliver her gift, a tad before her birthday. An early birthday surprise all the way from FNQ. I hope you enjoyed reading my blog post; I'm having fun writing them. My friend and cousin, Maria has been inspired to start a blog as well. She is an extremely talented artist and photographer. I'm sure you would enjoy reading her latest blog post about our trip to the Cairns Botanical Gardens earlier this year. for their "Work It Wednesday Linky Party". You might like to have a look at their blogs too. I'd love it if you left a comment below for me to read.